thank you so much. ill def be playing this tomorrow. Man, this took enough but at least was less than learning japanese from scratch. Much thanks from south america! I am really grateful with you, thanks for your efforts. Aah, this brings a tear to my eye, to see finally this completed with Geoff’s nulla osta and thumbs up! Thanks a lot for seeing this through, I’ll definitely honor your time by playing it! In the end, this still came out sooner than I anticipated(what with the expected December release). I only had a minute to look at this before heading off to work right now, but great work man. That’s the entire series in english. I’d like to report a bug I encountered already with your fan translation of 7th Dragon 2020-II. On the quest Lecturer for New Recruits (One of the first 3 sidequests in the game) it’s hanging on a green screen after talking to the NPC. I was able to get past this using my save on the original JP ISO but it consistently crashed with your fan translation patch. Thanks, guys. I figured out what is going on and updated the patch. Appreciate the quick report. hi geoff, sorry to bother you but can you make an updated patch for an iso that already patched with 0.90? Oh, rad, thank you for this! Perfect timing for me as I’m in between games! Looks like I’ll be finishing this series in order! Thank you! Thank you! On behalf of PSP users everywhere we thank you for all your hard and dedicated work on bringing us these Japanese exclusive series! I also wish you goods luck on your future endeavors! My eyes flared up like red lens flares as soon as I saw this. Fantastic! Many thanks for the hard work! Grabbed 0.91, just wanted to bring to your attention that the music in the base area (the Diet) isn’t looping properly – it always just stops at the same point in the song. Changing rooms restarts the song, but it will stop at the same point. Doesn’t seem to be happening anywhere else so far. I’m on PSP 3000 hardware, btw. Thanks. I vaguely remember a weirdo music bug like this in the last game too. I’ll take a look. May not be easily fixable but I always appreciate the report. Take your time, of course – it doesn’t affect gameplay so nbd! Thanks! And actually, I think it’s only in the Diet building *before* the Bloom reappears. So, SUPER nbd. Sorry to bug you with this. lmao my dude,i literally just finished the 7th on 3ds with Citra,are you a goddamn wizard?! Thanks so much for this! I’ve been really looking forward to this. I loved your translation for 2020. It was really high quality stuff. I’m sure this will be the same and I can’t wait to get home from work and install it. Thank you so much for your hard work!! I’ve been looking forward to your translation, I’m so excited to play this! You’ve put in so much work for this series! Thank you so very much for translating these epic games 7th Dragon games! Holly… THANK YOU! I wish you good and all that is wonderful! Firstly, thanks for all of your hard work! I started playing this series in 2016 and now I finally get to play all the games now thanks to you. Secondly, has anyone found out how to get it to work on mobile? My usual method doesn’t seem to work and looking it it just adds mire questions than answers. Thanks, and once again, thank you Geoff. Really thank you very much im so happy hearing this news and cant contain my happiness anymore ><.. Anyway many many thanks for your hard work until now we're player 7th dragon really appreciate your hard work thank you so much. Ohmygad thank you sooooo much 😍😍 bless you. Needed more people like you in this world. Definitely appreciate all the work that went into this. Thank you very much! You’re the best! omga thank u sooooo much !! yo man, thank you very much for the translation. Thank you so much! Been waiting for this ever since I experienced your awesome work on 2020. This is truly a dream come true. Know that your hard work has made us all very happy. Keep it up, please. Thank you very much. Hi, I have a problem. The game always crash right after the imageepcoh jrpg logo (before the tittle screen). I’m using the latest ppsspp 1.7.1. PRAISE THE LORD, IT’S FINALLY HERE!!!! Thanks a damn whole bunch! you da man, man. many thanks. Oh my God, what a wonderful news! Thank you from the bottom of my heart to use your time and efforts to make that translation! I appreciate very much! I can’t thank you enough man! I wish you success in everything you make in the future! I appreciate all your hard work and everyone involved! The 7th Dragon series is a favorite of mine. Not sure how to get this to you otherwise, and it constitute spoilers. This is something present in the original game that I have limited control over. I waffled about whether to make these lines more vague or change them to reflect this issue, but ultimately, it’s difficult to keep track of when you start changing things. So I just stuck with the existing dialogue. I do appreciate the report, though. 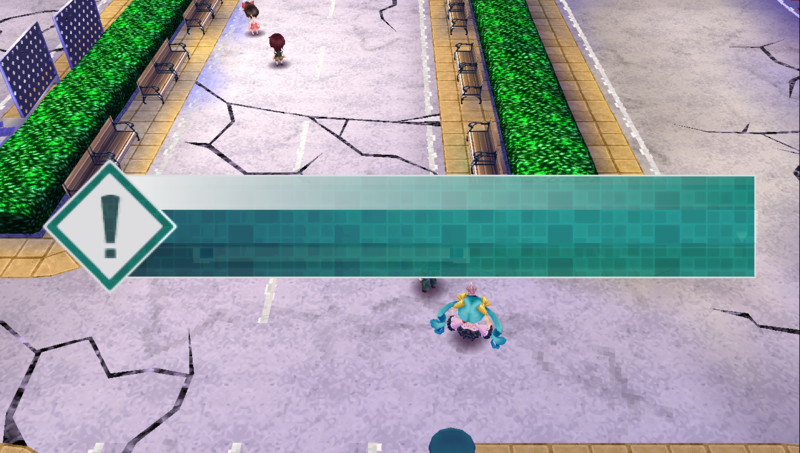 By the way, is there any advice on how to configure the ppsspp so the map doesnt glitch? The dungeon map would glitch a lot, especially when you cover or discover areas and it wont show in the map. Aside from the map, the game runs smoothly. Thank you for the translation? Will you translate more things? I saw a light novel about 7th dragon which revolves around Fuuma and Yoritomo…forgot the name. Will you consider of translating it? Sorry for the trouble. I was waiting for this for years, and you did it! I really want to hug you, Love you! Is your mini map okay? Does it glitch? If it doesnt, can you tell me how you configure your settings? My mini map is okay, like everything. I play in a PC, don’t know if the problems are on just cell phones. Anyways, I will put my graphics settings here, maybe can help. And below this is all irrelevant (I left off). First off, I really appreciate the effort you went through to make this! As a 7th Dragon fan, I’m incredibly happy right now. 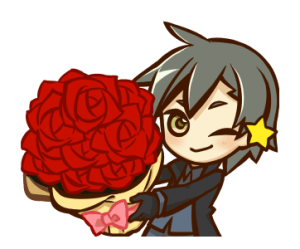 What I wanted to ask, though, was where these cute chibi graphics came from (yuma from this post, and yaiba from one of the past posts). Are they possibly official art from somewhere? I really like the style of them and I’d like to see if there are more for the other characters. A late comment but still want to thank you for your efforts in translating this game. Just finished VFD and was left with the desire of play more 7th Dragon. The best 7th-dragon game for me. Will play it again when i have time. Really, I can’t believe people do this for free in their free time. You are an amazing person, and you deserve the best from life! Wish you the best of luck!! !